Long, long ago in another part of our galaxy, there existed a planet consisting of a single great continent surrounded by an ocean. The central continent stretched for 5000 miles, and was mostly dry and dusty. The continent was uninhabited by civilized beings, except for a single small kingdom near the center of the continent, where a few thousand people lived. This kingdom was known as Centralia. The residents of Centralia had never seen a large body of water. They had not seen any oceans, rivers, or lakes, but only a few very small ponds, none larger than about 10 meters. Life was hard in Centralia, where it almost never rained, and where it was very hard to grow crops. But despite their difficulties, the Centralians were able to develop some aspects of culture, including literature and theater. They even had their own body of scientists. The scientists of Centralia published “laws of science” based on the observations they had made about nature, using only their limited experience. One of these “laws of science” was known as the Law of Small Accumulations. This was the law that there could only exist small accumulations of water such as very small ponds, and that nature abhorred any large bodies of water. 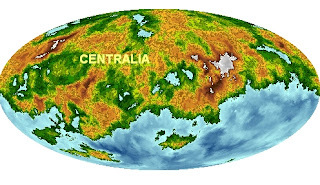 The Centralians concluded that their planet was round, and that the whole planet was as dry and dusty as the land around Centralia. This conclusion was officially promulgated as the Law of Global Uniformity. The scientists of Centralia began to get very pleased with their understanding of nature, and tended to think of themselves as great knowledge lords who were almost finished with the job of understanding the mysteries of the world. One day some adventurous Centralians decided to go on a long journey of exploration, riding on local animals that somewhat resembled camels, in that they could store great amounts of water. The exploration party was led by a very brave person named Delnox. The exploration party of Delnox traveled to the south for a year. For almost all of the journey, the explorers encountered only dry, dusty land like the land of Centralia. But then one day the explorers came upon the most exciting thing they had ever seen. Delnox could not believe his eyes. Before him lay a seemingly limitless body of water. He had never imagined that such a thing could exist. But there was the evidence right in front of him. After the explorers swam in the ocean for pleasure, and took copious notes, Delnox commanded the exploration party to return to Centralia. There was much grumbling, as many wanted to stay in this wondrous region with unlimited water. But Delnox insisted that the discovery be reported to Centralia without delay. After a year of additional traveling, the exploration party finally returned to Centralia. Delnox called together the Academy of Science, and told the astonishing story of what had happened. But the scientists refused to believe his story. The story of Delnox and his fellow explorers was officially declared by the Academy of Science to be a lie, a fraud, or a hallucination. But a minority of Centralians accepted the story as the truth. Over the next 150 years, every few years another exploration party would set out to the south in search of the fabled ocean first reported by Delnox. Some of these exploration parties never returned. But about once or twice a decade, one of the exploration parties would return after about 2 years of traveling. The exploration parties would usually tell a tale similar to that told by Delnox – that a great ocean had been discovered after traveling thousands of miles to the south. Each of the returning exploration parties would always be treated the same way by the Academy of Science. The Academy ruled that all of the reports were merely lies, frauds, or reports of hallucinations. The Academy ruled that no legitimate scientist could believe in the “ocean superstition,” as they called it. The Academy continued to teach that the entire planet was as dry and dusty as the kingdom of Centralia. Eventually explorers from Centralia found other huge bodies of water that were closer to Centralia. Travelers to the the southwest discovered three seas smaller than the great ocean that Delnox had found. Other travelers discovered another sea to the north. But whenever these travelers returned to Centralia, their reports were belittled and disregarded by the experts at the Academy of Science. The travelers were told they were liars, frauds, or people suffering from hallucinations. Their reports were dismissed as nonsense, even though many different travelers to those seas made reports that were all consistent with each other. Meanwhile technology began to improve in Centralia. Eventually an inventor created the first camera. An explorer named Zulsen came up with the idea of using the new invention to prove the reality of the ocean to the south. Zulsen led an exploration party that traveled for a year. After a year, they reached the great ocean to the south, and took many photographs of it. Then the exploration party started traveling back to Centralia. After another year the party returned to Centralia, and showed the photographic evidence to the Academy of Science. The Academy of Science officially ruled that the photos of the ocean were either fakes or merely photos of low-hanging clouds that had been misidentified as the ocean. The testimony of the explorers that they had swum in the ocean was dismissed as either lies or hallucinations. Zulsen sadly realized how permanently closed were the minds of most of the scientists. He began organizing a group that would travel to the great ocean to the south, for the purpose of permanently settling the land near there. After organizing the team of pioneers, he said his final goodbyes to the residents of Centralia. This story is allegorical. Read this post for a discussion of what has been symbolized here. The “blind watchmaker” thesis advanced by people like Richard Dawkins is that we can believe the most remarkable products of evolution were produced without any intelligent designer being involved, because natural selection (with the help of random genetic mutations) is capable of acting like a designer. According to such a thesis, natural selection and random mutations are the “blind watchmaker.” But do we actually have good evidence that natural selection and random mutations are capable of such creative marvels, that they are capable of acting like a watchmaker? Below I will look at some of the things that are typically cited as evidence that natural selection and random mutations can act like a watchmaker, and explain why they don't work to establish such a thesis. You don't show that natural selection and random mutations acted like a watchmaker by discussing that some disease has evolved to be more antibiotic resistant. One item commonly cited to support the idea of the power of natural selection is the fact that certain diseases have evolved to become more antibiotic resistant. But the changes that a microorganism needs to make to become antibiotic resistant are trivial from a structural standpoint (compared to the changes needed for the evolution of something like the human eye or the human brain). Antibiotics are designed in the lab to exactly conform to a particular microorganism, rather in the same way that a particular key is designed to match a particular lock. It is therefore often relatively easy for a microorganism to change in some way that makes it resistant to an antibiotic, just by changing a little so that the “key no longer fits the lock.” In other cases, the bacteria just chemically neutralizes the antibiotic, which doesn't require any new watch-like functionality in the microbe. You don't show that natural selection and random mutations acted like a watchmaker by discussing some change in the appearance of moths. Another item commonly cited to support the idea of the power of natural selection is the fact that moths have evolved to have camouflage that matches trees that have been blackened by industrial pollution. But any change in the appearance of an organism is a merely cosmetic type of change that is very trivial compared to the changes needed for the evolution of something like the human eye or the human brain. Color changes in moths may show that natural selection and random mutations may act as a “watch painter,” but does not show that they can act as anything like a watchmaker. You don't show that natural selection and random mutations acted like a watchmaker by discussing some change in the digestive capabilities of microorganisms. The longest ongoing lab experiment on evolution is one that has been run by Richard Lenski at Michigan State University. The experiment has recorded something like 50,000 generations of bacteria. The main example of evolutionary change shown is that somewhere along the line the bacteria developed an ability to “metabolize citrate.” But that is very trivial compared to the changes needed for the evolution of something like the human eye or the human brain. So such a finding does not at all show that natural selection can act like a watchmaker, nor does any other thing discovered by Lenski. You don't show that natural selection and random mutations acted like a watchmaker by discussing some change in the lactose intolerance of humans. The claim that there is evidence for a change in the lactose intolerance of humans is one of the first things that comes up when I do a Google search for evidence for natural selection. But even if such evidence exists, it is only evidence of a minor change, not something that can be used to establish the thesis that natural selection and random mutations can act like a watchmaker. You don't show that natural selection and random mutations acted like a watchmaker by discussing some change in the age of first reproduction (AFR) for humans. The claim that there is evidence for an earlier age of first reproduction (AFR) in humans is another of the first things that comes up when I do a Google search for evidence for natural selection. But even if such evidence exists, it is only evidence of a minor change, not something that can be used to establish the thesis that natural selection and random mutations can act like a watchmaker. You don't show that natural selection and random mutations acted like a watchmaker by discussing any changes whatsoever in microbes. Here I may simply note that to demonstrate that natural selection and random mutations acted like a watchmaker you actually have to show that they make dramatic innovations in visible organisms. No microscopic changes in organisms too small to see can properly be compared to the manufacture of a visible watch. You don't show that natural selection and random mutations were like a watchmaker by discussing changes in the beaks of finches. Darwin observed that on different islands in the Galapagos, different finches had different sizes for their beaks. But this doesn't show any “watchmaker” capability for natural selection and random mutations. For one thing, the gene pool may have already had a variety of genes for a variety of beak sizes, before such finches even got on these islands. For another thing, such a variation doesn't show that natural selection and random mutations produced the innovation of the finch beak. If Darwin had observed an animal without beaks evolve into an animal with beaks, that might have been a different matter. Peter and Rosemary Grant, evolutionary biologists from Harvard University, spent twenty-five summers studying these birds....They revealed that the beak changes were reversible -- this is hardly 'evolution.' Beaks adapted from season to season, depending on whether droughts left large, tough seeds, or heavy rainfall resulted in smaller, softer seeds. You don't show that natural selection and random mutations were like a watchmaker by merely showing that natural selection has occurred. 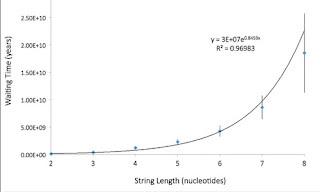 Some scientists try to look for statistical evidence of natural selection in the genome. There have been many such studies, and the statistical approaches used are a matter of controversy. I merely note that you do not at all prove that natural selection and random mutations can act like a watchmaker simply by showing that natural selection exists or that it can have measurable effects. It's still perfectly possible that natural selection exists but is entirely incapable (even with random mutations) of producing impressive macroscopic biological functionality such as the human eye or the human brain. When people try to show that natural selection and random mutations can act like a watchmaker, they typically follow the same general pattern. They present a few examples of microevolution (small scale changes) that they claim are caused by natural selection and random mutations, and then imply that we can assume that macroevolution (dramatic structural or intellectual innovations) are also caused by natural selection and random mutations. This is a little like someone showing that a horse can jump over a puddle, and then asking us to infer from this that a horse can jump over a lake. It is all too possible that natural selection and random mutations are capable of producing minor examples of microevolution but not capable of producing the more dramatic examples of macroevolution such as the appearance of the human eye and brain. But is there any way that you could prove natural selection and random mutations act like a watchmaker? Yes, in theory there is. But it has never been done, and would be a nightmare to do, as it would take ages. Imagine how the project might be executed. After building some special testing environment (perhaps some special large building or zoo), you would start out with a population of some large species with a lifespan of more than decade. You would take samples of the DNA of each organism in such a population. You would then monitor such a population over many generations, frequently taking DNA samples to see how the DNA was changing. Since a generation for such organisms would take at least a year, the project would have to probably last for thousands of years. All in all, it would be a project more difficult than landing men on Mars. No one has ever done such a project, or even one tenth of such a project. Darwinists say that natural selection is aided by random changes in DNA caused by things such as random mutations and copying errors. There's a simple two-word phrase that we can use to concisely describe such random variations in a genome. The phrase is “DNA typos.” Even though such changes are not caused by someone typing the wrong key on a keyboard, the underlying effect is very much analogous to the effect produced when you type the wrong key on your keyboard – a random change is made in a previous body of information. DNA typos + “survival of the fittest” = the appearance of amazing new functionality more intricate than a watch (for example, the human eye and the human brain). Here is a visual from their paper, which shows a "waiting time" of some 5 billion years to get a crummy little six-nucleotide mutation. This is a result that positively screams at us that natural selection and random mutations aren't up to the job of being a watchmaker. In order for us to explain the marvels of evolutionary innovations, we should begin to think about principles far deeper than random mutations and natural selection. In small populations the waiting time problem appears to be profound, and deserves very careful examination. To the extent that waiting time is a serious problem for classic neo-Darwinian theory, it is only reasonable that we begin to examine alternative models regarding how biological information arises. But you may protest: I can't believe that our evolutionary biologists may have blundered by giving us the wrong explanation of the main cause of evolution. But consider all the silliness going on in theoretical physics and cosmology. 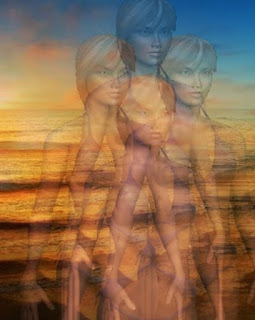 Quite a few of our theoretical physicists try to sell the silliest theory imaginable (the groundless theory of parallel universes, that there are an infinite number of copies of you and me). Quite a few others bombastically sell theories such as string theory (for which there is no compelling evidence). Sometimes lacking in the intellectual humility they should have, our cosmologists often claim to know details about the first second of the universe's history, which they back up by overselling (and routinely describing as factual) a dubious, problematic theory (the cosmic inflation theory) for which there is no good evidence (although there is evidence for the broader idea of the Big Bang). Many of our theoretical physicists and cosmologists also try to sell us almost infinitely extravagant multiverse theories which actually explain nothing. Such thinkers even sometimes make highly incorrect statements while selling such groundless theories, such as this outrageous misstatement: “It is important to keep in mind that the multiverse view is not actually a theory, it is rather a consequence of our current understanding of theoretical physics." So why should you not think that our swaggering evolutionary biologists such as Dawkins have been guilty of the same type of intellectual sins – sins such as explanatory overconfidence and overselling of dubious explanations which they haven't proven? Many who reject the paranormal have a toolkit of mental devices they use to keep it out of their minds or dismiss it. Among these devices include (1) simple ridicule; (2) stereotyping people who report paranormal experiences, which involves depicting them as careless observers, fools, or fanatics; (3) pathologizing witnesses, by suggesting that they are suffering from hallucinations or other mental problems; (4) accusing witnesses of fraud; (5) simply ignoring reports of the paranormal, no matter how spectacular they may be; (6) wholesale denial, which often involves statements such as “there is no evidence for such a thing,” even though many reliable witnesses have reported exactly such evidence. Such tactics work pretty effectively as reality filtering devices to enforce intellectual taboos. But what happens when a person who rejects the paranormal has his own senses deliver testimony that something paranormal occurred? Often the result seems to be that the person just ignores such testimony of his senses, and keeps on completely rejecting the paranormal. Such a hypothesis is quite absurd, because the human mind doesn't act that way. Healthy people may remember clearly a previous statement by another person, but they do not spontaneously and repeatedly “re-hear” something they heard before. Sagan's experiences should have made him very sympathetic to reports of the paranormal. But instead a few years later Sagan wrote a book called The Demon Haunted World in which he attempted a wholesale debunking of the paranormal. We may have here an example of what Brendan Nyhan and Jason Reifler call the backfire effect: a case of responding to evidence for something by believing even more strongly that such a thing does not exist (or responding to evidence against something by believing even more strongly that such a thing does exist). A more recent case of the same thing seems to be found in the book “If the Universe Is Teeming with Aliens...Where Is Everybody?“ by physicist Stephen Webb (which is a pretty good book, despite its shortcomings and faulty conclusion). In this interesting book Webb discusses 75 potential solutions to Fermi's Paradox, the riddle of why we have not yet observed extraterrestrial life in a universe that seems to have so many planets. I should state here that I have seen a UFO, and it remains one of my most vivid memories....I looked up and saw a pure white circle about the size of the full moon. Protuberances on either side of the circle made it look rather like Saturn showing its rings edge-on. Whatever it was, it seemed to hover for a few seconds before moving off at tremendous speed. I was with a friend, who also saw it and remembers it still...We definitely saw something in the sky that day and I have absolutely no idea what. But no, it wasn't a flying saucer. It was just a light in the sky. We have here an interesting mixture of observation and a refusal to accept the paranormal implications of one's observations. Webb has reported here a sighting that cannot be explained by any natural and earthly hypothesis, since nothing with a round shape manufactured by man when he was a child ever floated around “the size of the full moon” in the sky, while also being capable of “moving off at tremendous speed.” But then he illogically dismisses it as “just a light in the sky” even though his own description (described as “one of my most vivid memories”) completely contradicts such an offhand dismissal. Anyone experiencing such a sight should be extremely open to the idea that extraterrestrials have visited our planet, and should either believe in such a thing or think such a thing is quite plausible. But instead we seem to see a backfire effect going on in Webb's mind. Not only does he dismiss evidence for UFO's, but at the end of the book he suggests that mankind is alone in the galaxy (“we have a Galaxy to explore and make our own”). He also seems to suggest the idea that man is alone in the entire universe, by saying man is “the only species that can light up the universe with acts of love and humor and compassion,” and making other statements that seem to dismiss the whole possibility of extraterrestrial intelligence. The senses of a scientist give him dramatic evidence for X. Scientist responds by asserting that no types of things like X exist. What is the real culprit here? The culprit is the sociological system of conformity constructed by scientific academia, in which acceptance of anything paranormal is a taboo that must be avoided at all costs, even if that means denying large bodies of evidence or the direct testimony of a scientist's senses. This type of herd behavior and groupthink is a weird intellectual straightjacket which many a scientist has tied himself into, a stifling type of thought prison. When you are compelled by your group norms and tribal taboos to reject or ignore the testimony of your senses, something very wrong is going on. Some would have us eliminate religion, and perhaps even philosophy, and rely solely on science. But where would that leave us in regard to morality? Does science offer any guide as to how to behave, or does it help us sort out questions of values? There are basically two ways to define science. According to the first definition, science is just the body of facts that have been established through scientific inquiry. According to the second definition, science is the process of searching for truth through scientific means. If we use the first of these definitions, we must conclude that science offers not the slightest guide to either morality or values. A mere body of objective facts does not offer any guide as to how to act. Imagine if a man is considering whether to sneak into someone's house, kill the owner, and steal that person's jewels. If we were to first give such a man a large volume summarizing all of the factual findings of modern science, and have him read such a volume from cover to cover, that would in no way give him any guide as to whether or not he should take such an action. But imagine we use the second definition of science – the definition that defines science as the activity of scientists. Could this serve as some kind of guide as to how to act in a wide variety of situations? Not really, despite claims to the contrary – we can't get very much of a moral code just through emulating scientists. Here is one argument that could be used to support a claim that a good code of ethics can be derived from science, defined as the activity of scientists: scientists work for the benefit of man, so you too should work for the benefit of man. But we must remember that science has also given us things such as nuclear weapons which have long threatened the human race with extinction. So we would have to include that, making the previous statement like this: scientists work for the benefit of man, and also create things that may cause the extinction of man, so you should work for the benefit of man. The second part of that statement doesn't seem to necessarily follow from the first part. Another attempt to derive some kind of ethical code from science might go like this: scientists consider things calmly and dispassionately so you should make life decisions calmly and dispassionately. It is true that such a principle might be helpful in calming down someone who is considering killing someone in a rage. But such a principle would not deter someone who is calmly plotting to kill his spouse for the insurance money, or someone calmly plotting a bank robbery. Also, if we made all our decisions dispassionately we might not be moved to make the moral act of helping someone out of pity. So such a principle isn't all that useful in guiding us to a moral life. Another attempt to derive some kind of ethical code from science might go like this: scientists prize the advancement of knowledge, so you should avoid that which causes a destruction of knowledge. Such a principle might be fairly useful in discouraging some maniac plotting to start a nuclear war that causes the extinction of mankind. But it wouldn't discourage someone who plans to start a nuclear war designed to wipe out 99% of all humans, leaving behind only a privileged remainder. Nor would such a principle discourage someone from wiping out all humans and replacing them with robots who had been uploaded with the sum of human knowledge. Nor would such a principle deter someone from killing another person, as long as he thought that the person to be killed had no important knowledge known only to that person. Another attempt to derive some kind of ethical code from science might go like this: scientists are careful to truthfully report the facts, so you should be truthful in your life. But the conclusion doesn't really follow from such a premise. Strictly speaking, from the fact that scientists are accurate in their professional reports, all we might be entitled to infer is that we too should be accurate when we make professional reports. Since we know nothing about how much scientists lie to their friends or spouses, we can't derive any general principle about truthfulness from scientific behavior. Another problem with such a principle is that truthfulness is only a small part of morality (for example, you can be a truthful ax murderer). It seems that science offers us no very substantial guide as to how we should conduct our lives. We may note that scientists have often favored the morally destructive doctrine of determinism, the idea that humans have no free will. Those who believe in such a doctrine can justify any atrocity they may commit on the grounds that they had no choice, because they didn't have free will. Such a factor may wipe out any claim you might be able to make that following science leads to moral behavior. Another morally destructive doctrine advanced by some scientists is the “many worlds” interpretation of quantum mechanics. This doctrine is upheld by a minority of physicists, but when physicists do advance this doctrine they are pushing a doctrine that by all rights should be a complete morality killer. The “many worlds” theory holds that there are an infinite number of parallel universes, and that basically every second our current reality splits into an infinite number of alternate realities, in which every possibility becomes actualized. Such a theory is completely antithetical to moral concerns and moral rules. For example, why worry about saving a child freezing to death on the street, if there will be both an infinite number of parallel universes in which the child freezes, and also an infinite number of parallel universes in which the child prospers – no matter what action you take? Also, why bother with following moral rules, if there will be an infinite number of alternate universes in which you act morally, and an infinite number of alternate universes in which you act wickedly? I can't think of any idea more destructive to the foundations of morality than such a theory. Considering all these factors, it seems that at best “following science” will only have a mild tendency to make you more moral, and at worst following certain theories fashionable among certain scientists may tend to take you completely cavalier or indifferent to moral concerns. Some scientists are highly moral, and some type of scientific activities are moral, such as searching for a cure for cancer. But overall science itself is basically amoral – meaning morally neutral. From a purely scientific standpoint, a nation in which half of the population are slaves is just as good as a nation in which the entire nation is free; and from the same narrow perspective, a world in which half of humanity is starving is just as good as a world in which everyone is well-fed. From a purely scientific standpoint, one accurate data set is just as good as any other accurate data set, regardless of whether either includes moral horrors. Science is amoral. I ask if this is a good or a bad thing, and after a moment, we realize that such a value judgement is irrelevant. It is simply a statement of fact. So what will happen if we only rely on science in the decades ahead? Our weapons will grow more and more frighteningly destructive, but we will be lacking the morality to restrain us from using such weapons. Such an approach may be a prescription for human extinction. As discussed here, modern science is unable to explain the origin of the universe, the origin of life, the origin of human consciousness, and the cause of many puzzling phenomena that we observe. Science is also unable to give us much help in figuring out how to live or any help in discovering moral truths. Consequently the claims of scientism (which claims that science is all we need or the only thing that gives truth) are laughable. Postscript: In this discussion I originally failed to mention the harmful moral consequences of enthroning the idea of "survival of the fittest." When we have only science to guide us, we may end up with a moral outlook that approves of the strong wiping out the weak, approving such a thing as "survival of the fittest" that is "natural." The cosmic inflation theory is often confused with the Big Bang theory, but it is really just a variation of the Big Bang theory. The Big Bang theory makes the very general assertion that the universe started to expand from an incredibly hot and dense beginning 13 billion years ago. The cosmic inflation theory makes a very specific claim that during a tiny fraction of the universe's first second, the universe underwent a burst of “exponential expansion” in which the expansion rate was vastly greater than at any time in the universe's history. You can believe in the Big Bang theory without accepting the theory of cosmic inflation. One might ask the question: if we already had the Big Bang theory, what need was there for this cosmic inflation theory? The standard answer given is that the cosmic inflation theory “fixes problems” in the Big Bang theory. What were these problems? The first problem is known as the flatness problem. There is a density of matter in the universe known as the critical density, which is the amount of density that would be needed to stop the universe's expansion, and cause the universe to begin collapsing because of the gravitational contraction of matter. Scientists know that the actual density of the universe is close to this critical density. When cosmologists consider earlier points in the universe's history, they find that the match between the critical density and the actual density must have been even closer, with the closeness of the match being proportional to how far you go back in time. When cosmologists go back to the beginning of time, the moment of the Big Bang, they find that the critical density and the actual density must have matched to about one part in 100 trillion trillion trillion trillion trillion, or 1 part in 1062. I use here the figure listed in the wikipedia.org article on the flatness problem. Why was this match so exact? This is the flatness problem. The second problem is known as the horizon problem. This is the problem that different parts of the universe (in opposite regions of the sky) had the same temperature, even though they seem to be “causally disconnected” so that there is no way to explain their equal temperatures by assuming anything like a thermal equilibrium used to explain a uniformity of temperature in a volume of gas. Although these issues have been called problems with the Big Bang, they are not problems at all to someone who believes that the sudden origin of the universe was a supernatural event. To such a person, the flatness problem and the horizon problem can simply be indications that the Big Bang was a carefully designed event, rather than a random natural event. There's a phrase used in the computer software industry when a customer complains about something that was deliberately put in a computer program. The phrase is: that's not a bug, it's a feature. A theist could say exactly the same thing about the flatness problem and the horizon problem – they're not bugs in the Big Bang, but features of the universe's birth, features that were put in deliberately so that we could eventually be here in a nice, orderly, life-bearing universe. It is known that if the universe's actual density did not exactly match the critical density at the beginning, we would not have a universe suitable for life – either the universe would have expanded too rapidly for galaxies to form, or the universe would have collapsed in on itself because of gravitational contraction. Now thinking such as that may be repellent to many scientists, so it is no surprise that some scientist would have come up with some theory designed to explain away these things that may at first seem to be evidence of a very carefully designed Big Bang. The cosmic inflation theory is such a theory. If this theory were simple, we might categorize it as a design avoidance device, since the main purpose of the cosmic inflation theory is to avoid or evade what seems to be evidence of design in the universe's birth. But since the cosmic inflation theory is very complicated, it is more descriptive for us to categorize it as a design avoidance contraption. A contraption is some very complicated thing which seems ugly because of a lack of simplicity. It is clear from the above passage that the cosmic inflation theory is a very complicated thing that has many requirements that must be just right for it work. Note the exponents in the equations above. Whenever a scientist talks about requirements and starts listing things carried to the second power or to the third power, it is a strong sign of very sensitive requirements that must be just right. However distasteful all this fine tuning might seem, it has always been believed that the thing could at least be done. The purpose of this paper is to point out that this may not be true. 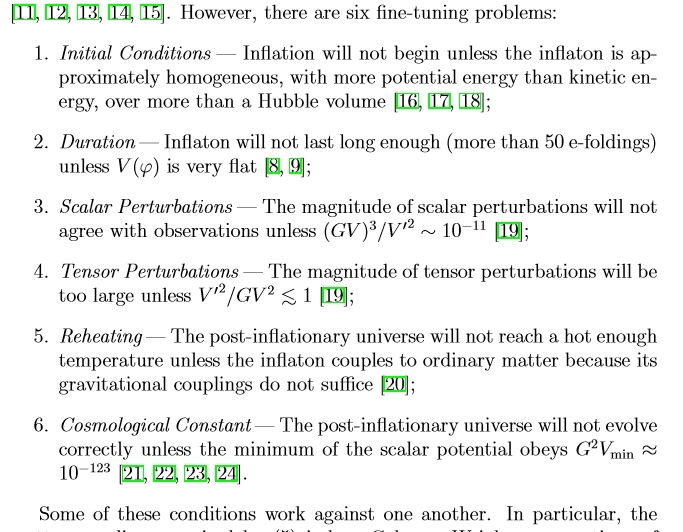 Now if there is a lot of fine-tuning required for the cosmic inflation theory to work, it would seem that the key question to ask is this: do we actually get a reduction in fine-tuning requirements by adopting the cosmic inflation theory? We could use this technique to try to answer that question. Start out by calculating the degree of fine-tuning that is required if we don't believe in the cosmic inflation theory (which would be something like that fine-tuning to 1 part in a hundred trillion trillion trillion trillion trillion commonly mentioned in scientific discussions of the flatness problem). 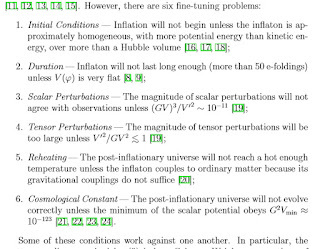 Then estimate the total amount of fine-tuning required for the cosmic inflation theory to work (what the chance would be of all the conditions for successful cosmic inflation being met in some random accidental universe). 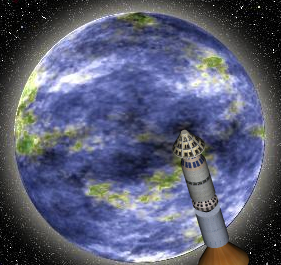 If it is found that the theory of cosmic inflation theory requires more fine-tuning than the fine-tuning tuning it was designed to explain away or remove (or about the same amount of fine-tuning), discard the theory on the grounds that it does not produce much of a reduction in fine-tuning requirements. What is astonishing is that I see no evidence that our cosmologists are actually making such a comparison. Perhaps they don't want to make such a comparison because it would mess up their pleasant-sounding triumphant narrative: scientists find a problem with one of their most fundamental theories, but then a brilliant scientist fixes the problem. Perhaps it is also that they want to avoid a narrative such as this: scientists find that the Big Bang was apparently fine-tuned to an astonishing degree; scientists try to explain that away with a cosmic inflation theory; scientists eventually find that theory requires more fine-tuning than the fine-tuning it removes. We can compare this situation with that of a Manhattan resident who is concerned about the money he is spending on subway fares and cab fares. So he buys a car, believing that this is a money saver. He figures he is saving $200 a month by not paying for subway fares and cab fares. But there are many costs associated with the car. He has the monthly auto payments, and perhaps also a monthly interest cost. He also has to pay for car insurance. Then he has to pay a hefty monthly fee for a garage, because there's almost no vacant parking spots on the streets in Manhattan. Then there's also the fact that when he wants to drive from one spot to another in Manhattan, he will often have to pay $15 for parking, because of the lack of available parking spots on the street. When this person adds up all the costs of this “money saver” car, he may find that owning such a car is twice as expensive as just taking the subway and cabs. Similarly, the total combined “fine-tuning” cost of all the fine-tuning required by the cosmic inflation theory may be more than the fine-tuning supposedly removed when such a theory is believed in. It could easily be that we are twice as unlikely to have randomly got a universe performing like the cosmic inflation theory as we would be to have got a universe that coincidentally started out with the critical density matching the actual density. Have cosmologists shown that this is not true? No, because they don't want to do that math – just as the Manhattan car buyer I just referred to wouldn't want to do the math showing his poor economic decision. Methodological Naturalism: Sound Principle or “Think Like a Psychotic” Rule? The principle of methodological naturalism is a proposed principle that scientists should always exclude any supernatural explanation for anything, and consider only natural explanations. It is claimed by some that this is a “rule of science.” Evoking this principle is very convenient for those who wish to rule out “in one fell swoop” all evidence for any paranormal belief or supernatural belief. 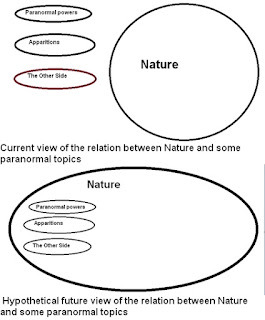 The person who evokes the principle of methodological naturalism basically attempts to evoke some supposed “rule of conduct” which prohibits any consideration of the paranormal or supernatural by a scientist. Below are several reasons why such a principle is very dubious and should not be evoked. Reason #1: Since we do not know the boundaries of nature, we have no business excluding certain possibilities on the grounds that they are outside the boundaries of nature. Quite a few of the main things that we might today call supernatural are things that might one day be regarded as natural once we expand our knowledge of nature. Consider an idea such as the soul. We might now consider that supernatural, but once we expand our knowledge of nature we might discover some account according to which the soul is natural. We could say the some thing about apparitions, or alleged human supernatural powers. 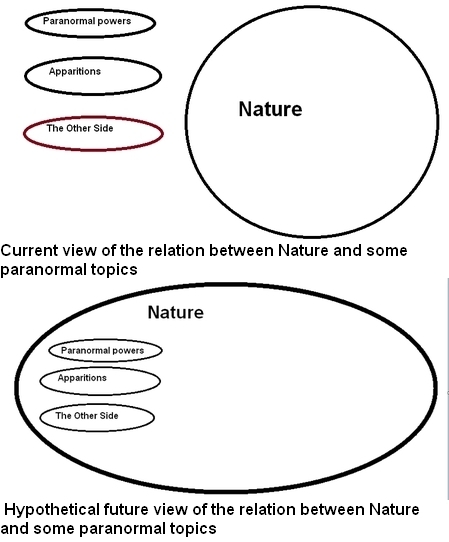 An expanded understanding of nature might include an account of such things. The diagram below illustrates the idea. Reason #2: A principle of methodological naturalism conflicts with another older and more widely advanced principle of scientific conduct, the principle of self-correction. An advocate of the principle of methodological naturalism might try and make it seem simple: well, we scientists have this principle we're supposed to follow, and so we have to follow it; simple as that. But it's not so simple, because scientists have also advanced other principles, and it turns out some of them conflict with the principle of methodological naturalism. One such principle is sometimes called the principle of self-correction, that science must always be willing to revise its assumptions when the evidence warrants. But what if the evidence should warrant the assumption that some supernatural cause was at play? Then scientists would have to make a choice: either follow the principle of self-correction demanding that assumptions be revised when the evidence warrants it, and accept that evidence; or follow a principle of methodological naturalism, and reject it. Given such a conflict, we might ask: which principle is more in sync with the spirit and essence of science? It is, of course, the principle of self-correction, which has actually been evoked by scientists far more often than the principle of methodological naturalism. Reason #3: Appeals to the principle of methodological naturalism involve question-begging, the fallacy of petitio principii. Appealing to a principle of methodological naturalism involves the fallacy of begging the question, of assuming what is to be proven. The reason is as follows: obviously it makes no sense to follow a principle of methodological naturalism unless there are no supernatural effects– for if there were supernatural effects, why would we not want science to learn about them? The principle only seems to make sense if you first assume there are no supernatural effects, and then conclude that science should follow the principle of never admitting the possibility of such effects. But whether or not there are supernatural effects is typically the issue being debated at the time such a principle is evoked, so you can't just start out with the assumption that no such effects exist, because that's the matter being debated. Here we have a fallacy which philosophers call petitio principii, and which is more informally known as begging the question. It's the fallacy of starting out by assuming what you are trying to prove. Reason #4: The principle of methodological naturalism is supported by appeals to “normative behavior,” but it is very dubious that such a norm actually exists among a great majority of scientists; and even if it did exist, majority support is not a good justification for a principle. The person arguing for the principle of methodological naturalism typically attempts to argue that it is some kind of rule of conduct for scientists. But it is actually very dubious that such a rule is rigidly followed or has been endorsed by a majority of scientists. Because of all of the vast number of specialties in science, most scientists never become involved with questions of whether we should admit some supernatural effect as a possibility. We certainly do not have a case in which a majority of scientists have signed on to some principle that supernatural effects must never be considered as a possibility. No written declaration of principles endorsed by a majority of scientists supports such a principle of methodological naturalism. Even if it were a case that most scientists had publicly endorsed such a principle, the fact that the majority held such a principle would not justify it. Opinions held by the majority are very often wrong, and principles followed by the majority are very often wrong. In the case of the scientific community, we have a cultural subgroup or subculture that may be subject to the sociological effects that influence most subcultures: group taboos, “herd behavior,” groupthink, and so forth. So the fact that some principle may be followed by a majority of scientists does not establish the wisdom of such a principle, and may merely tell us about customs or cultural taboos of a sort that may be mainly cultural or sociological in nature. Any attempt to establish a principle of methodological naturalism by claiming that most scientists support it (or most scientists have supported it) is reasoning that commits fallacies such as the “appeal to authority” fallacy or the “appeal to tradition” fallacy. Reason #5: In its most rigid form, the principle of methodological naturalism is a “think like a psychotic” principle with the same general form as principles followed by those clinging to delusions. Whenever you receive evidence that seems to show X, interpret it as evidence that shows non-X or the opposite of X. There is another group that follows this type of thinking. It is psychotics. When a psychotic person has a delusion, he may interpret all evidence that seems to show his delusion is false as being evidence that is consistent with his delusion or evidence in support of his delusion. For example, a psychotic may believe that he is the king of the world, and may interpret all evidence seeming to contradict that belief as evidence that is consistent with that belief or a confirmation of it. Not wishing to think like psychotics, we should not follow any principle that has the general form of: whenever you receive evidence that seems to show X, interpret it as evidence that shows non-X or the opposite of X. Since the principle of methodological naturalism is such a principle, we should reject it. Current evocations of the principle of methodological naturalism are signs of desperation. If no evidence for supernatural effects were accumulating, no one would ever try to evoke such a biased rule, which is so clearly in conflict with the more essential scientific rule of “objectively follow the evidence wherever it leads.” Instead scientists would just say, “We would believe in that if there were any evidence for it; but there isn't any evidence for it.” But when someone is besieged by an accumulation of evidence that he doesn't want to accept, and can no longer plausibly claim that such evidence does not exist, he may in desperation try to evoke some rule that tries to disqualify such evidence by claiming it is a violation of procedural rules. 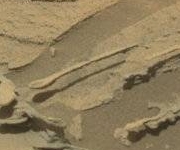 My previous post discussed the recent photo appearing to show a very long "floating spoon" on Mars. At the time I wrote that post, I was unaware that the original NASA photo shows not just one such anomaly, but two. Let's take a look at both. Here is part of the original NASA photo shown on this NASA web page (right click to see the photo at its full resolution). 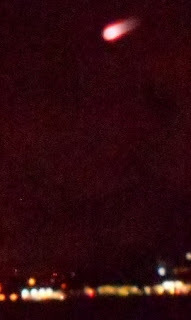 Here is a close up showing the object that looks like a floating spoon. On the right part of the first photo, we seem to see another floating object -- what looks like a floating spatula. This thing looks like it would be pretty useful for flipping pancakes. This second "floating anomaly" in the same photo may bolster the case I made in my previous post. Rather than following a rather unreasonable policy of "we will believe everything we see is natural no matter how unnatural it may seem to be," we should consider the possibility that we are seeing utterly paranormal forces at work here on Mars. 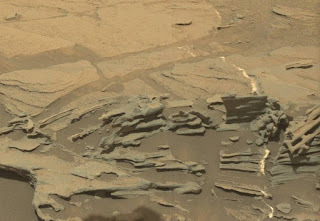 One can only wonder whether someone out there (spiritual, extraterrestrial, divine, angelic or extra-dimensional) is causing extraordinary things to appear in the Mars photos, as a manifestation or signal of its existence. The robotic probes landed on Mars have produced a series of astonishing photographic anomalies, some of which are shown here and here and here. The anomalies include a gigantic mysterious plume; an orb that seemed to move; what looks like a statue of a woman; a perfect sphere; a shape looking like a pelvis bone; an arrangement of matter looking like a traffic light; and a Celtic cross. Now we have what may be the strangest anomaly yet seen on Mars. 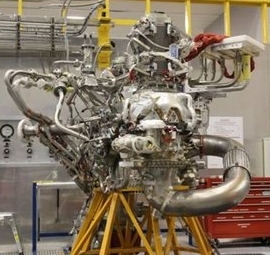 The full NASA photograph (as shown on a NASA web page) can be found here. Below is a closeup. The photo shows what looks very much like a very long spoon floating in the air. Below this spoon shape, we see a shadow that seems to exactly match the spoon shape. How can we explain this wonder? The initial explanation offered by mainstream sources in that of pareidolia – the tendency of the brain to interpret natural or random patterns as being meaningful shapes that resemble faces or artificial objects. But this is a non-explanation that does not explain anything. When dealing with a puzzling occurrence, you only do something to explain that thing if you provide some account that causes some reduction in amazement, causing someone to think, “Now, I'm not so amazed.” For example, if I'm a farmer, and I find a giant hole in the back of my corn field, I might be very amazed; and you might reduce my amazement if you explain that meteors fall every day from the sky, and maybe this is just a meteor strike. But in the case of this “levitating spoon,” the idea of pareidolia does nothing to reduce our amazement. We are amazed by why what looks like a very long floating spoon with a matching shadow should be seen on Mars, and we are just as much amazed after the idea of pareidolia is suggested. So there is no reduction of amazement, meaning pareidolia is just a non-explanation in this case. About the only natural explanation you can come up with to explain such a thing is the idea that rather than being a spoon shape floating in the air, the spoon shape is some rock connected to another rock. It could be that the “handle” of the spoon shape is connected to some other rock. Perhaps the wind somehow sculpted this long shape out of a larger rock. But such a hypothesis doesn't seem to work. For one thing, there is the problem of how such a very narrow thing so far protruded without structural support could survive without falling, even in the weaker gravity of Mars. 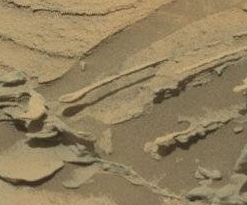 Then there is the problem that the “handle end” of the “floating spoon” does not at all seem to be connected to some larger rock, but seems instead to be floating to the side of a larger rock. There is a very different hypothesis that we should seriously consider in this case. This is the “radical” hypothesis that this “floating spoon” is simply exactly what it appears to be: a spoon shape floating in midair. We can call this the levitation hypothesis. It is rather easy to rebut the main objections you could bring against such a hypothesis. The first objection might be that levitation is impossible, that it contradicts the law of gravitation. This is not at all true. The law of gravitation in no way prohibits the levitation of objects. What the law of gravitation merely tells us is that there always will be a very weak force acting to push down an object on the surface of a planet. But levitation can be achieved whenever there is a sufficient force acting underneath an object, causing it to rise up. Levitation is actually achieved on our planet in things such as lottery machines (where balls are levitated by jets of air). So it is possible that some unknown force was acting underneath this spoon-like object, causing it to be levitated in the air. The law of gravitation in no way prohibits such a thing. But what about the very idea of an unknown force acting mysteriously on an object – is that somehow prohibited by science? It certainly is not, despite the claims made by some skeptics and scientists. Physics tells us that certain forces are always at work in the universe – the gravitational force, the electromagnetic force between charged particles, the strong nuclear force that binds together the nucleus of an atom, and the weak nuclear force involved in radioactivity. But nothing in physics or in any other science gives us a legitimate basis for assuming that the only force that may act on something is some force that we understand. Making such an assumption is unwarranted hubris, a case of advancing in a haughty manner some principle that has not at all been established. We are little creatures very ignorant of very many of the universe's mysteries, and we have no business claiming that the only forces that might operate on something are one of the forces that we understand. Making such a claim is like some 6th-grader claiming that the only process that may occur in history is one of the few historical processes that he understands. Let's imagine a reasonable hypothesis that might explain a “levitating spoon” appearing in a photo of Mars. Let us imagine that there exists some unknown mysterious force capable of causing objects to appear in particular places, and causing such objects to levitate. Such a force might be divine, supernatural, spiritual, or extraterrestrial. Let us imagine that such a force wishes to demonstrate its existence to humans, by creating manifestations that demonstrate its power. Under such conditions, we might actually see a series of “signs and wonders” that might possibly include something like a very long spoon levitating on Mars. There actually exists very substantial prima facie evidence to support the first of these claims. The history of paranormal occurrences since 1850 has included very many cases in which tables or other objects were seen to levitate, sometimes under controlled scientific conditions. There are also many reported cases of objects (sometimes called apports) that have been seen to appear out of nowhere, as if they had been brought into existence by some unknown force. For the sake of this blog post, I don't need to delve into such cases, because here I am not attempting to prove the likelihood of a premise such as the first premise, but merely its substantial possibility. The many reported cases of paranormal levitations and apports are enough to establish the substantial possibility of the first premise. Many scientists like to think that “things like that don't happen,” and that the only cases of physical action that occur are cases of a type that they understand. But they are able to cling to such an unwarranted dogma only by ignoring or dismissing a large stream of reported observations that suggest the contrary – that, in fact, mysterious things happen for reasons they do not at all understand. One example among very many is the case of the Enfield poltergeist that occurred in England during the 1970's, where a dramatic set of inexplicable occurrences (including levitations) were reported by reliable witnesses. It is therefore quite reasonable to imagine that what we may be seeing on Mars may be some manifestation of some unknown force completely beyond the understanding of current science. Given the reports of strange things that have happened on Earth, there is no reason why we should assume that equally strange things could not be happening on Mars. A scientist may think of Mars as his own exclusive wonderland, where there only occurs the type of things he is comfortable dealing with. But there is no reason to think that everything we will see in Mars will always conform to such an expectation. 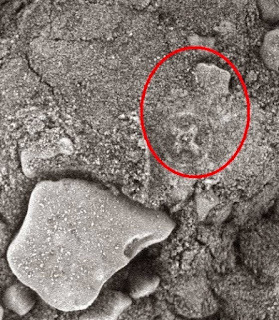 One of the most amazing things found previously on Mars was a “Celtic cross” (although it might be just called an X within a circle). Skeptics have tried to debunk this photo by claiming that it is a screw imprint from the APXS instrument on the Opportunity rover that took this picture. My previous blog post refutes this hypothesis. As I explain in that post, according to the NASA activity log for the Opportunity rover that took this picture, the APXS instrument was not used at the site where this photo was taken until the night after the photo was taken. That means this strange “X within a circle” cannot be explained as a screw imprint. Again, we have something that almost looks like some sign being sent by some intelligence trying to alert us as to its existence. 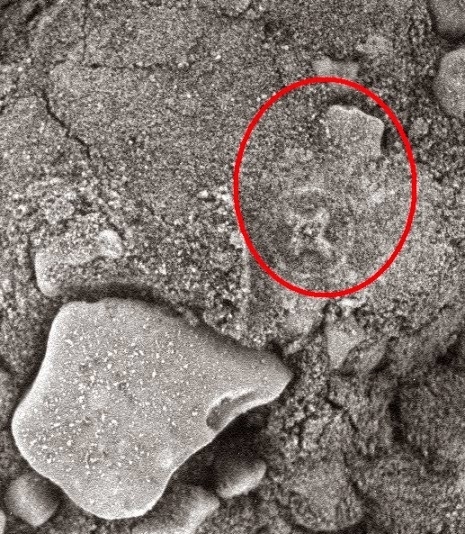 The previous wonders seen on Mars can mostly be explained as some kind of traces of an ancient civilization, or of aliens who visited Mars long ago, and left behind some traces. But the “levitating spoon” wonder may hint that some mysterious intelligence may now be active on Mars. 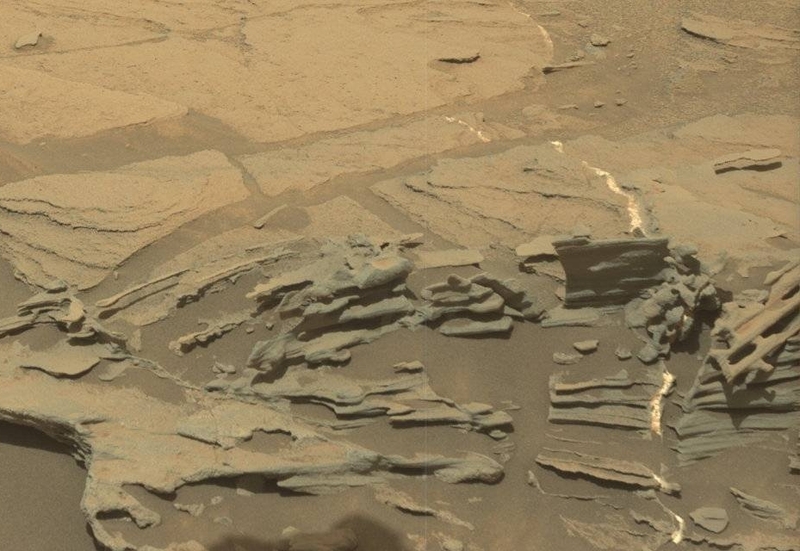 I ended a previous post on the topic of a strange objects found on Mars with this observation: “I will not be surprised at all if we start to see more and more cases of artificial-looking things on the planet Mars.” Such an observations wasn't very explicitly predictive, so let me go out on a limb and make a more specific prediction. I predict (with only mild confidence) that some of the things we will see on Mars in the years ahead will be more amazing and inexplicable than any of the things that have been photographed so far. Postscript: The original NASA photo seems to show 2 floating objects -- not just a "floating spoon" but also a "floating spatula." See here for more info.